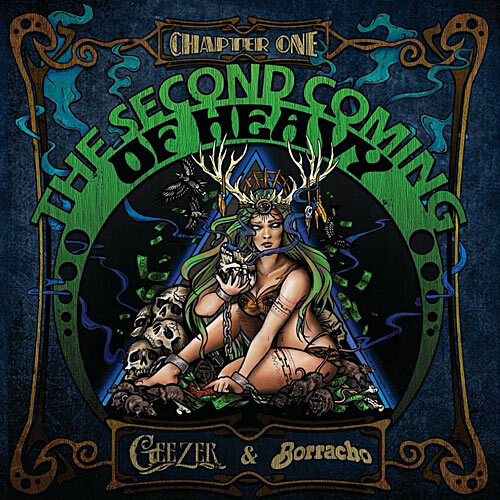 The seeds for what has become the first installment of a Ripple Music series of splits titled The Second Coming of Heavy would seem to lie in the label’s 2011 release Heavy Ripples (review here). While not nearly as ambitious in its title, that offering was a double 7″ that featured four bands — Stone Axe, Grifter, Mighty High and Sun Gods in Exile — who were intended to represent Ripple‘s view of the future of heavy rock, or at very least some underground bands who deserved the exposure that teaming up might bring them. As an opening chapter, The Second Coming of Heavy: Chapter One – The Risen has a loftier feel in terms of its aspirations but also takes a different, more pragmatic approach. It’s a 12″ instead of a double-7″, and it halves the number of acts involved perhaps in an effort to make the idea more sustainable, bringing together Washington D.C. riff-riders Borracho and New York heavy blues specialists Geezer.